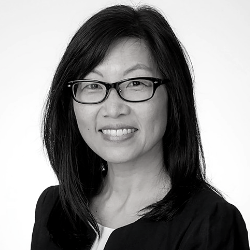 Cathy Cha is President of the Evelyn and Walter Haas, Jr. Fund. She joined the Fund as a program officer in 2004 and led its Immigrant Rights and Integration program starting in 2009. Cathy was the Fund’s Vice President of Programs for two years before becoming President in 2019. Cathy’s work is driven by a career-long commitment to equity and opportunity. She is a leader in advancing new models for how foundations can collaborate and partner with communities, advocates, and government. In 2018, Cathy helped create the California Campus Catalyst Fund, a coalition of funders, educators, and advocates working to expand support and services for undocumented students and their families across California’s public higher education systems. Cathy served for seven years on the board of Grantmakers Concerned with Immigrants and Refugees (GCIR), including two years as national co-chair.